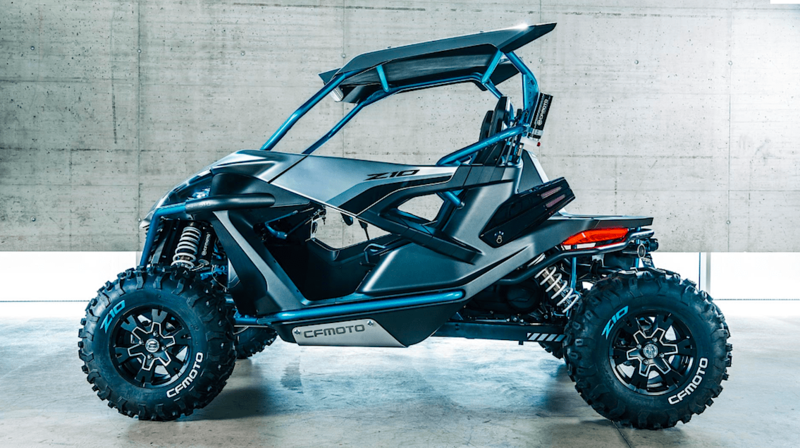 Sleeker, faster and innovative is the theme for this new machine from CF Moto. It seems to be more than just a prototype concept vehicle, because rumor has it from reliable sources that the Z10 is gearing up for production. The engine is a fuel-injected V-twin displacing 963cc, with 8-valves. 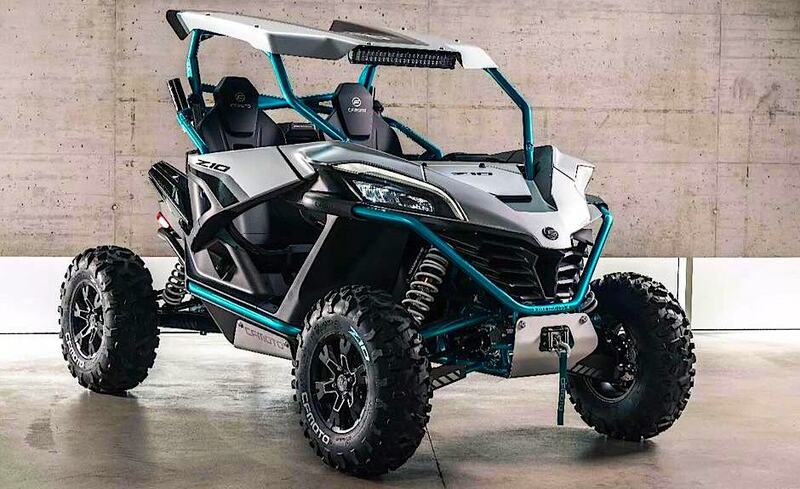 There’s talk that it has been tested with a turbocharger to bump up the horsepower closer to that of a RZR Turbo. Maybe it’ll be standard equipment or available as an option. The suspension on all four corners is fully independent with more wheel travel than any previous CF Moto UTV. 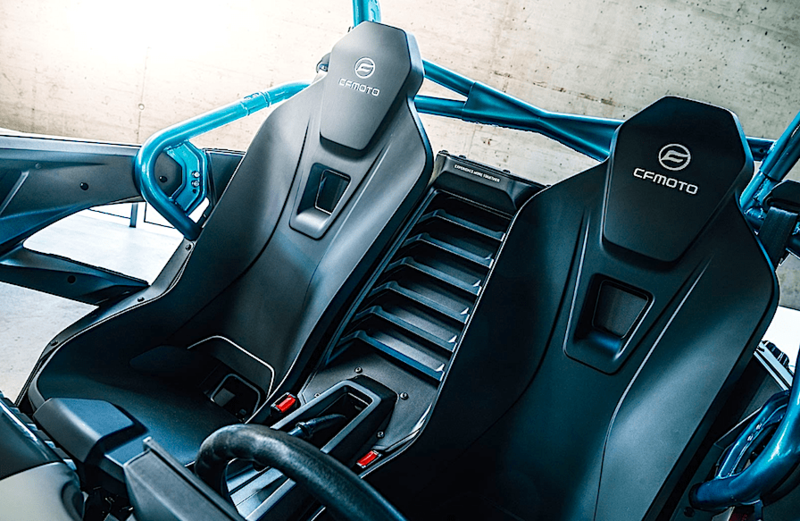 The chassis and roll cage is certainly unique along with the sleek bodywork and doors. The Kiska design firm in Austria was involved with building the Z10 and they no doubt had a major influence in its futuristic look. 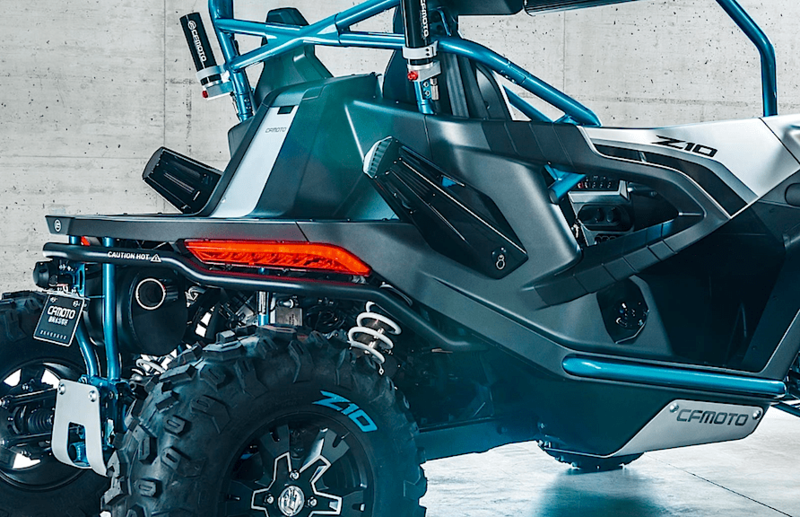 The Z10 shows that CF Moto is getting more serious with the high-performance side of UTVs, and that they want to be included in the world of RZRs, YXZs, Wild Cats and Mavericks. There’s no doubt that it will get the attention of those buyers. As of now there has been no word from CF Moto on how much the Z10 will cost. In fact, they’ve been very tight-lipped so far on providing any info on it at all. The Dirt Wheels investigation team will keep working on getting additional info, so keep checking back here to our website.